The Seventh National Audit Project (NAP7) of the Royal College of Anaesthetists will examine Perioperative Cardiac Arrest. A panel comprised of senior clinicians from the RCoA, the National Institute of Academic Anaesthesia (NIAA), Health Services Research Centre (HSRC), and trainee and lay representatives selected the topic after a highly competitive application process. The topic has now been ratified by the Clinical Quality & Research Board and College Council and is now formally the focus for NAP7. The RCoA and HSRC would like to thank everyone who submitted a proposal for NAP7. The selection panel also wished to note the high level and quality of trainee involvement in the proposals for NAP7, including the submission for the successful topic. Dr Jasmeet Soar has been appointed as the clinical lead for the Seventh National Audit Project. NAP7 will examine perioperative cardiac arrest. Jas is a consultant in anaesthesia and intensive care medicine at Southmead Hospital Bristol, and has a major interest in cardiac arrest and cardiopulmonary resuscitation. Jas is the current chair of the International Liaison Committee on Resuscitation (ILCOR) ALS Task Force, Chair of the European Resuscitation Council ALS Science Committee and is an editor for the journal Resuscitation. He is a past Chair of the Resuscitation Council (UK), and chairs the ALS course subcommittee. 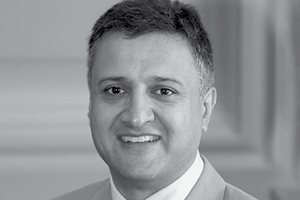 His anaesthesia interests include anaesthesia for major urological and adrenal surgery. Jas is looking forward to taking on the NAP7 role and working with anaesthetic and other colleagues to improve knowledge of perioperative cardiac arrest.